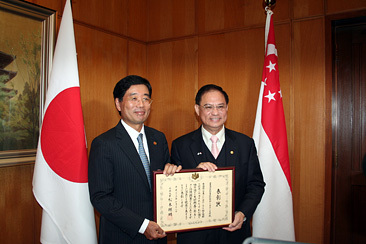 The Ministry of Foreign Affairs of Japan announced that the AOTS Alumni Society of Singapore is awarded the Foreign Minister's commendation for the year of 2011. 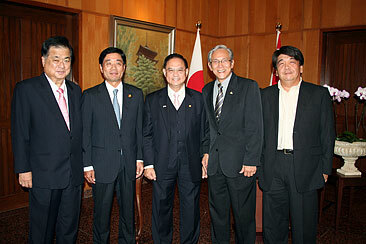 The conferment ceremony was held at the Residence of Ambassador of Japan. At the ceremony, Ambassador Suzuki expressed his hope for further development of Japan-Singapore relationship particularly in the economic field. Dr Chung, the President of the AOTS Alumni Society of Singapore, mentioned that the AOTS Alumni Society of Singapore will continue to develop technical exchange between both countries.